Srinagar: Pakistan President Dr Arif Alvi on the occasion of “Kashmir Solidarity Day” demanded the Government of India uphold the rights of the Kashmiri people instead of trying ─ and failing ─ to “justify its terrorism” against innocent citizens by pushing a “false narrative of killing militants”, Dawn reported. The president, according to the Dawn report, urged the Indian government to lift restrictions on electronic communications in Kashmir so that international media and social media are in the know about what is happening in the territory. “If you are in the right, the world will come to know about it. 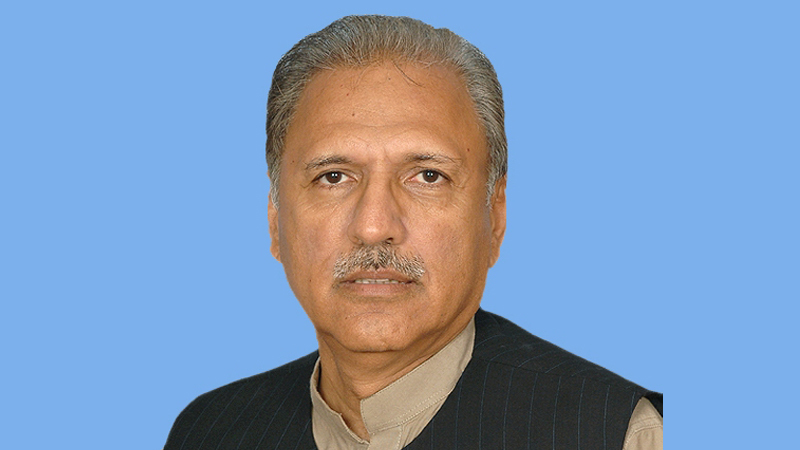 And if you are in the wrong, the world will find out about,” President Alvi challenged the Indian government, the report said. The president, in a separate “special message”, recalled that the purpose of Feb 5 is to “demonstrate to our Kashmiri brothers and sisters and the world at large that we have not forgotten the long-pending dispute of Jammu and Kashmir, and the struggle of the people of Kashmir against woeful “Indian occupation”. The president hit out at the international community’s indifference to “grave human rights violations” by Indian forces in Kashmir, which he said “raise doubts in the minds of Kashmiris, hinting at a double standard where every atrocity goes unpunished and every human rights violation, uncondemned.” “It reduces the UN Human Rights Charter to mere verbal rhetoric,” he stressed. “Behind its false narrative of killing militants, India has been trying to justify its terrorism but has failed miserably,” Alvi asserted. Alvi described a report by the UN Office of the High Commissioner of Human Rights documenting alleged human rights violations in Kashmir as a “turning point and a watershed moment for the Kashmiri community all over the world”. The president said Pakistan supports the proposals contained in the report and calls for the expedited establishment of a Commission of Inquiry to probe the “human rights situation” in Kashmir as per the report’s recommendations. He reiterated Pakistan’s “unflinching solidarity” with the people of occupied Kashmir, Radio Pakistan reported. “Pakistan … pays homage to the heroes and martyrs of this epic struggle for liberation that has become a living symbol of the indomitable human spirit. Your cries for azadi cannot be suppressed,” the president said. “It is our firm belief that The Kahsmiris will succeed in their struggle,” he added.